There is no slow down for this Mississippi-set Southern Gothic Horror tale, starring Gary Cairns as Father Vincent, Luke Albright as Michael, and fan-favorite Trista Robinson as Mary Francis, as it continues to gain momentum arriving on Blu-Ray and VOD this week. The story is about two brothers who operate a highway confessional offering advice to sinners and raining death on unrepentant thieves wherever they find them - when a psychotic resourceful woman named Mary enters the mix and threatens to destroy their unholy union. Australian-born-U.S.-based Savage who Directed, Produced and co-wrote the Purgatory screenplay with Tom Parnell says, "I love wounded characters. Characters without wounds belong on the street, not on the screen. I start with damage - work upwards from there." Savage who fearlessly attacks controversial topics, addresses our current conversation on hypocrisy in the church with "Purgatory Road". Follow-up projects include a limited-series for television entitled, “The Haunted World of Selena Miranda” confronting head-on Hollywood’s surreal obsession with youth, and the destructive pressures of aging female stars. Also in development, “The Good Sport” about a young athlete almost crippled by his competitive, demanding father; grows up to become the secret savior of children bullied by parents to perform on the sports field. 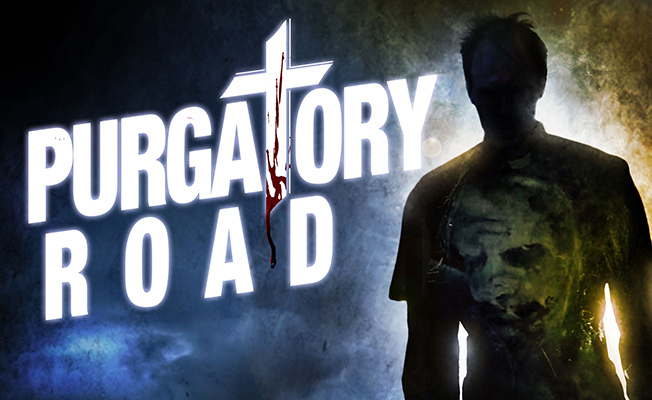 Join Indie Film Director Mark Savage and Purgatory Road stars, Gary Cairns, Luke Albright and Trista Robinson at the L.A. Premiere this Thursday, February 7, 2019.